Much has been written in the last 20 years or so about Perfins on Australian stamps, including references on both private and official perfins. These publications, through there authors and contributors, and the activities of the ‘Perfin Club of New Zealand and Australia’ (PCNZA), through its excellent Bulletin the “South Pacific Perfin Bulletin“, have all helped to build up a listing of these private and official perfin patterns, their users, and periods of use. For Private Perfins, which is the focus of this publication, this culminated firstly in “Commercial Perfins of Australia” – Grant and Mathews (1992) and later developed into the “Handbook of Australia Private Perfins” or HAPP edited by John Mathews (2003) with Updates (October 2005 and February 2012). HAPP summarises the collective knowledge of Australian Private Perfins to that date. It should not however be viewed as the last word on the subject, but rather it provides a sound base and frame work for the ongoing research of this comparatively new field of philatelic study. The purpose of this publication is to focus on Australian private perfins which are found on revenue and railway stamps. As revenue and railway stamps are issued by State Governments and collected by State, this catalogue follows this State by State approach with each State catalogue to be issued separately with the collective State catalogues building into the combined catalogue of “Private Revenue Perfins of Australia”. David Coath: David grew up with stamps, as his father Ray was a part time stamp dealer around Melbourne in the 1980’s and 1990’s. Introduced to many aspects of the hobby he was most interested in perfins. This interest lead to the building of a world perfin collection but over time the focus of interest was reduced to the detailed study of the ‘Private Perfins of Australia’. David has an extensive collection of private perfins of Australia on postage, revenue and railway stamps. He has had a long association with the PCNZA and is a regular contributor to the ‘South Pacific Perfin Bulletin’. He has served this club as Librarian, Treasurer, President and Secretary. 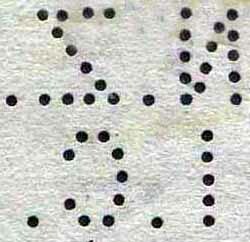 The term perfin (Perforated initials) was coined by Mr. H. Card a New York collector in 1943. 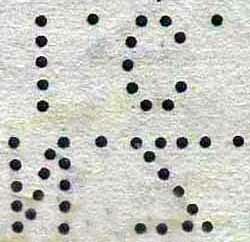 In the UK about the same time the term SPIFS (Stamps Perforated by Initials of Firms and Societies) was used. The accepted definition of a perfin in Australia is a stamp which has initials or any figure or design perforated into it by a business, society or other organization as a security device in order to prevent misuse or pilfering. As an example; Kodak numerals can be found on stamps from all over the world, they look like perfins, but they are not true perfins, as the puncture is a tracking identification number and is not a security device. Some perfin catalogues, such as the UK one, only list perfins on postage stamps but the US catalogue lists both postage and revenue stamps, only if the pattern appears on both types of stamp. Nearly all perfin catalogues do not list patterns created by cancelling devices such as those with PAID or DUTY PAID with dates, as these are clearly document cancelling devices, which are not considered true perfins. 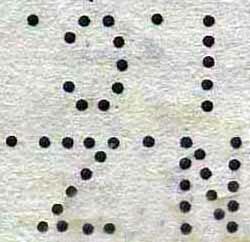 These patterns are almost always found on Revenue stamps and this may have lead to the generalisation that all patterns found on revenue stamps are not true perfins. This is no so. 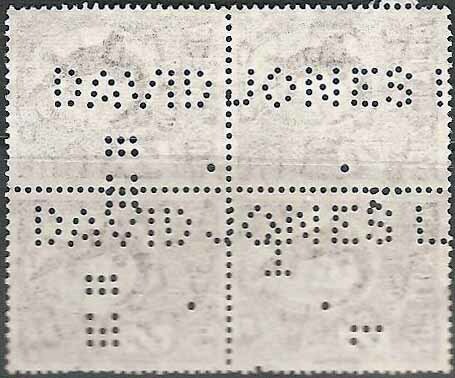 It is notable that the strikes of large cancelling devices are sometimes found on Postage and Revenue stamps as is the case with the large DAVID JONES LD pattern found on Australian stamps in the late 1940’s and early 1950’s, however these applications seem to have been used as true perfins, perhaps as a stop gap measure. Clearly they are referring to Postage stamps, but if the same situation was shown to exist for Revenue and Railway stamps then this would remove any suggestion that perfins applied to these issues were somehow not “true” perfins. Let us examine each in turn. Private Revenue use? Few people would have a private use for revenue stamps, however prior to Federation all State Governments, at some stage, allowed the use of revenue stamps for postal purposes and vice versa. 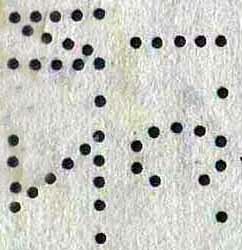 Therefore within these periods perfin users would have been perforating both postage and revenue stamps. For sale to others? This seems a real possibility as a security issue. A clerk with access to revenue stamp stocks could steal them and on sell them privately or redeem them for cash at the Treasury. Revenues tended to be high in face values by comparison to postage stamps, so just a few revenue stamps could represent a significant loss to a company. This would explain why some companies chose to perforated their revenue stamps and not their postage stamps. For redemption at a Post Office? Revenue stamps were not redeemable at the Post Office but they could be redeemed at the State Treasury. It would seem that all the principal purposes for perforating postage stamps as identified by Grant and Mathews, also existed for revenue and railway stamps and therefore it is reasonable to conclude that the use of perfins on these issues represents true perfin use. Collecting the various positions of perfin patterns on stamps can be a challenge that is of interest to some collectors so it is defined here to provide a consistent reference throughout this series of catalogues. Generally the above positions of perfin patterns are of most interest to collectors of Government patterns, as these were punctured by large multiple die devices and therefore the position can provide a collecting variation as well as an insight into how the device was used. 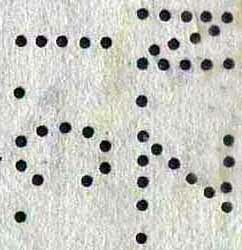 For this reason multiples and particularly those showing different positions are keenly sought, whereas with private perfins, most companies used smaller generally single die perforating devices which could produce strikes in all of the 8 positions shown above (as well as other variation) depending variously on the skill, care and attention of the user. 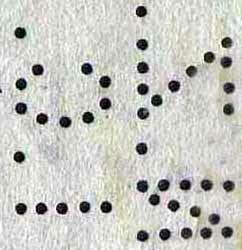 As a result positions are not a focus of this catalogue but may be referred to if the position of the pattern is in some way a characteristic of the pattern. Accurate pattern images are the key to the identification, study and collecting of perfins. Sometimes different devices in remote locations produced patterns which look very similar and often these can only be differentiated by comparison to accurate reference images. The authors have gone to considerable trouble with drawings and scans to ensure that they are as accurate as possible. Firstly there is a series of 1:1 scale images in black on white in alphabetical order as they appear in the catalogue. Secondly a same set of images in black on several transparent sheets [©Perfin Finder]. This is to allow you to confirm the pattern types where the stamp is still affixed to a document or on piece. If you find that either of these tools does not fit your patterns, or has any distortion then please contact us and we will replace them. The related issues of pricing and scarcity are vexed ones and we approach them with caution, as in the past, detailed scarcity listings offered in some catalogues have provided forgers with the information that they need to target rare positions and issues. However these forgeries flourished early in the collecting of perfins and have rarely been seen in the area of private perfins. Given this, we doubt that anybody would bother forging a die to perforate revenues. But we should all be vigilant and sceptical when new information or patterns surface and know that communication and our shared collective knowledge offer the best protection against this problem. Also any scarcity rating needs to be seen in the context of our area of focus, that is, revenue and railway stamps. Revenue and railway stamps are less common than postage stamps with the latter even more so. For instance the pattern of Thomas Brown and Sons, TBS is very common on postage stamps, yet it is much harder to find on a revenue stamp and deserves a scarce or rare rating. 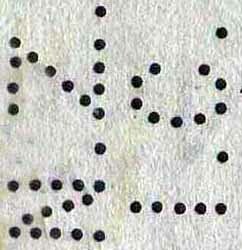 It is only occasionally found on railway stamps and on these stamps it would deserve a rare rating. To make matters more confusing there are some patterns that are found on the revenue stamps of more than one State. 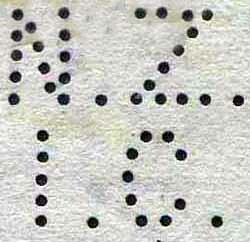 For instance the pattern O&M of the Sydney stock broking firm Ord and Minnett is found only on revenue stamps and is quite common on issues of NSW and Victoria. However it is much scarcer on Queensland issues, and scarcer still on Western Australian issues and rarely found on South Australian revenues. Therefore when providing rarity ratings the authors are referring only to the stamps within the focus of this catalogue and will apply rarity ratings to each individual issue within each State group. Pricing is an even more difficult issue and when very rare patterns surface market forces will determine the price. I think it would be presumptuous to predict pricing trends as the collecting of this sub set of Australian private perfins is at an early stage. When this catalogue was first mooted in late 2009 we approached John Mathews, Editor of the Handbook of Australian Perfins (HAPP) and asked if we could use the HAPP numbering system to reference patterns that are described in this catalogue. We felt that using the same numbering system would make it easier for perfin collectors who have postage, revenue and railway stamps and have built there collections around the HAPP numbering system. John Mathews held a contrary view and his answer was an emphatic no. He made it clear that he believed that all the information on the subject was already contained in Handbook of Australian Private Perfins and that another publication would only be repeating it. We were somewhat bemused by this stance and of course hold the opposite view and believe that the study of perfins on revenues and railway stamps is one that it still very much in its infancy and has clearly not been adequately dealt with by earlier publications. We felt that there was in fact much new information and many corrections from the existing publications to be shared. Because this series of catalogues are built up in a State by State format the pattern description, AA/CO.a may appear in more than one States catalogue but actually refer to different patterns. This could be confusing but the existence of and a relationship to other State patterns will be covered in each pattern description. We also include an oblique stroke (/) to indicate the structure of the pattern. For instance for AA/CO this indicates that the AA and the CO are on different lines within the pattern. Some patterns are known to have been created by multi die devices e.g. TBS.a which is a four die device. The four patterns created by the four dies are essentially identical, so they are considered to be a single pattern and are given a single listing. The dies are numbered I, II, III and IV in order to permit discussion of the layout and the very minor variations in their characteristics.